Feel like a hardened Viking warrior with the Cold Steel Norse Hawk Axe in your hands! Drop forged from 1055 carbon steel, this axe is optimally balanced along with its hickory handle for reduced shock impact during chopping. 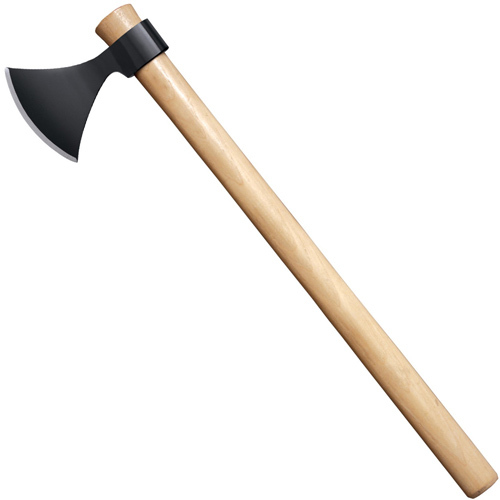 This fierce tomahawk comes in under 1 kilo, making it perfect as a throwing axe for recreational use.